I read this book recently and found it really inspiring! I love learning about the lives of the famous authors behind the stories I love. This book did a fabulous job of offering a look into some of the more well-known women authors. In this book, a brief sketch of the life of each author is given as well as a list of their most famous books at the end of each chapter. 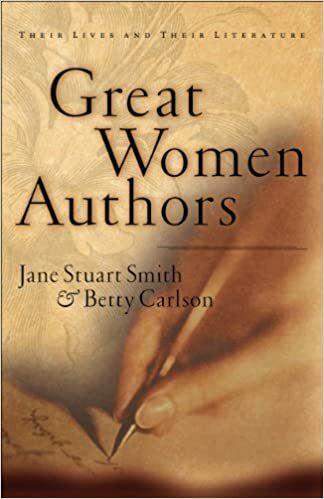 The authors covered some of the most famous lady authors in history including Jane Austen, George Eliot, Harriet Beecher Stowe, Flannery O’Connor, Louisa May Alcott, Willa Cather, Emily Dickinson, Beatrix Potter, Christina Rossetti and several others. What I loved most about this book besides what a pleasant and interesting read it was, is how the authors pulled together the threads (maybe without realizing it!) of the common struggles of many of these authors. Loneliness, lack of money, timidity, misunderstanding, ill health, and the fight to use their creative talents just the way they felt they should were common traits. On the opposite end, their fierce creativity, joy in life, love of family and friends and the pure desire to simply write the stories they had been given was just as wonderfully portrayed. Many of these authors wrote when it was unusual for women to do so and many of them had to pay to have their own works published. All of them left books behind that are still an inspiration to all those who read them. I highly encourage you to get a copy of this book, if for nothing else but to understand the women behind some of the most beloved stories out there. Sometimes our lives are just as interesting as the stories we want to tell.